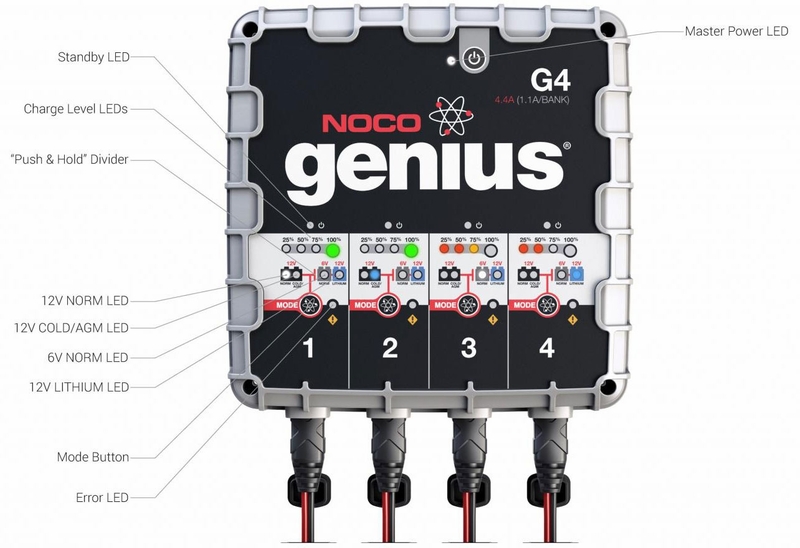 The G4 is a smart, 7 Step, fully automatic switch-mode battery charger and maintainer with 4 independent battery banks. The G4 is the best way to keep all of your vehicles maintained at the same time. 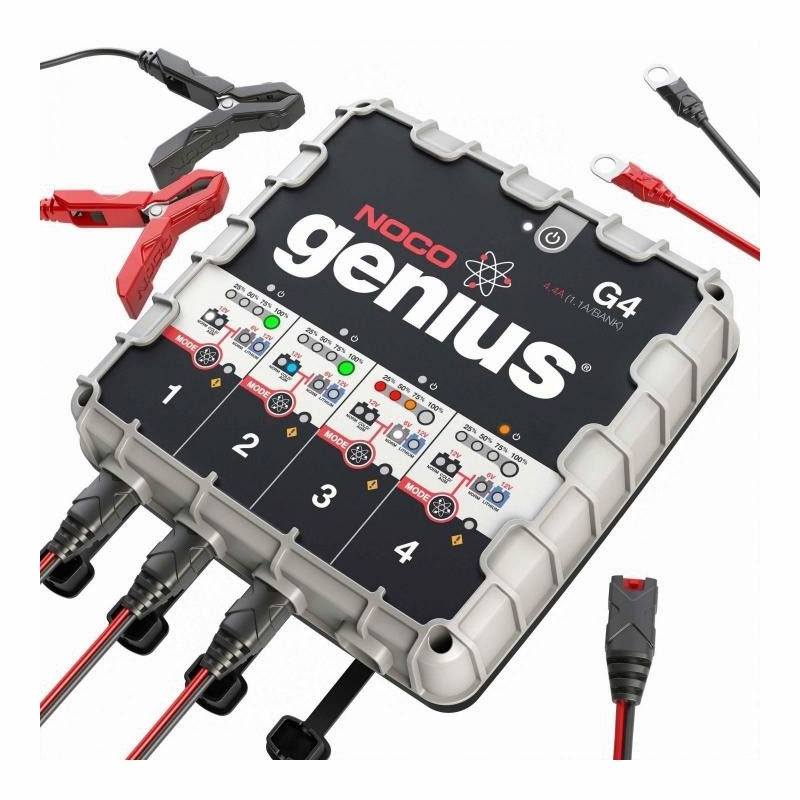 The NOCO G4 Genius 4.4 Amp 6V/12V 1100mA UltraSafe Battery Charger and Maintainer is the best way to keep all of your vehicles maintained at the same time. 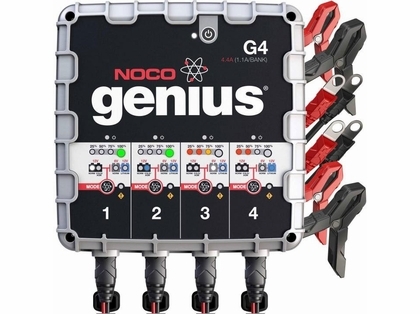 The NOCO G4 is a 4-bank automatic battery charger and maintainer for both 6V and 12V lead-acid and lithium-ion batteries. 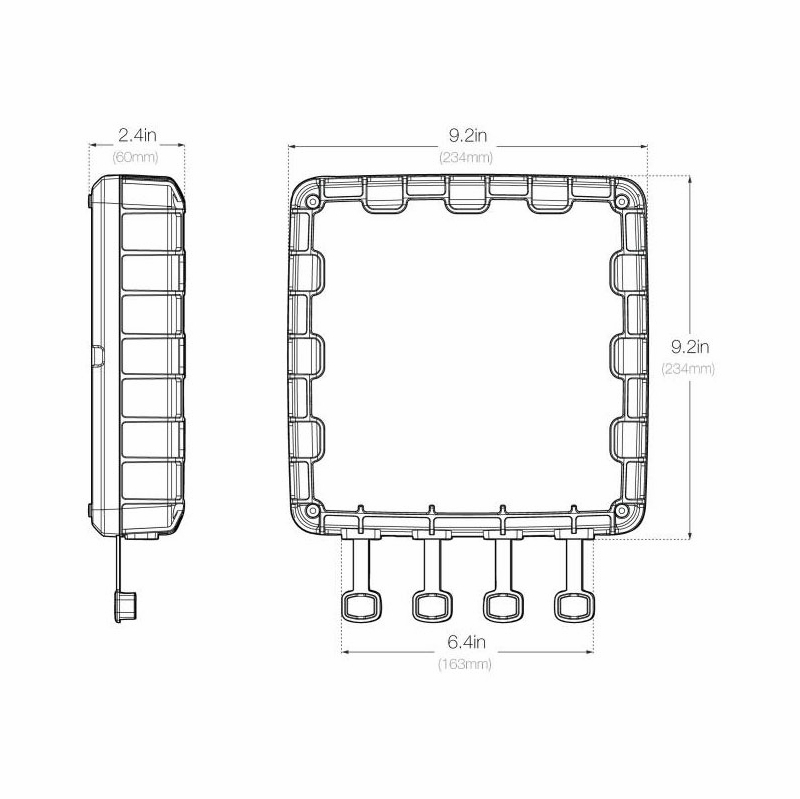 Capable of charging up to four different batteries at the same time, and perfect for charging a Motorcycle, ATV, Snowmobile, Personal Watercraft, Lawn Mower, and it can also be used as a battery maintainer to keep a Car, Boat, RV, and deep-cycle batteries fully charged. 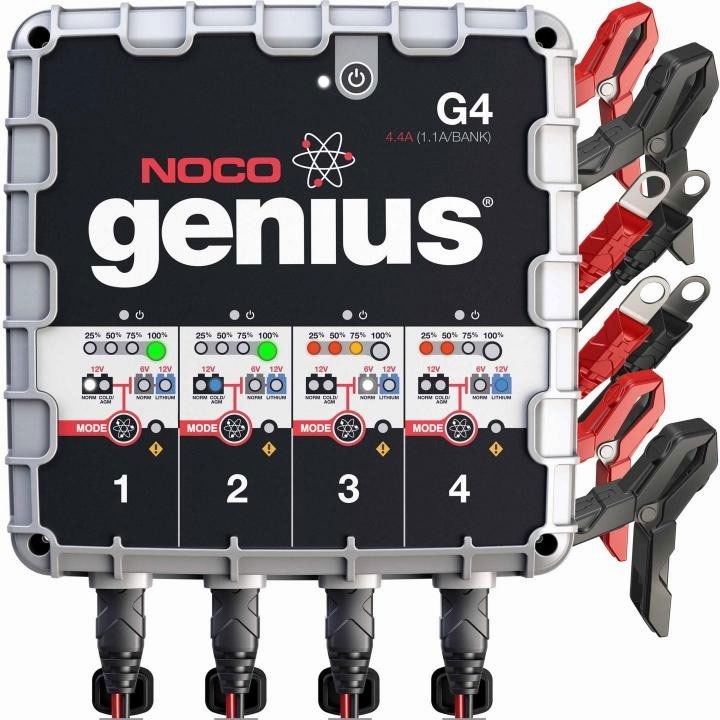 The NOCO G4 monitors battery activity for safe and efficient charging without any overcharge and complete with a built-in battery desulfator to rejuvenate underperforming batteries.